Karla Colletto "Lauren" one-piece in solid microfiber. Features contrast stitching and faux-horn button details. Scoop neckline with underwire support. Scoop back. Full seat coverage. Nylon/Xtra Life Lycra spandex. Made in USA. Summer’s freshest one-pieces have style in the…back. These one-pieces are sexier than any bikini. Shop these pieces that double as summery daywear or a poolside cover-up! 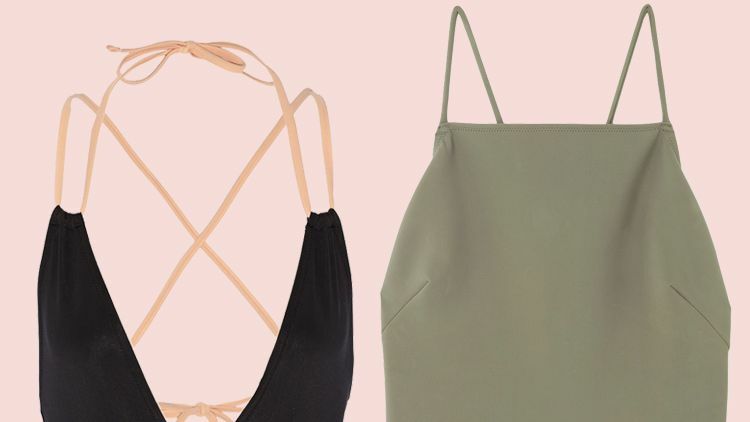 The one-piece swimsuits (all under $150) that you need this summer. A suit with full-coverage cups and sturdy underwire will supply the best support. A halter top will hold your girls securely in place, but a style with wider straps will do the job just as well. 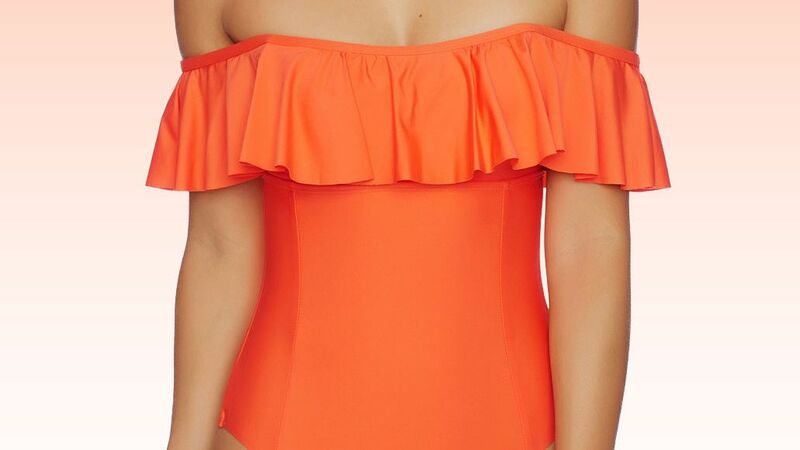 This ruched one-piece suit from Lauren Ralph Lauren features eye-catching ruffles that flatter!